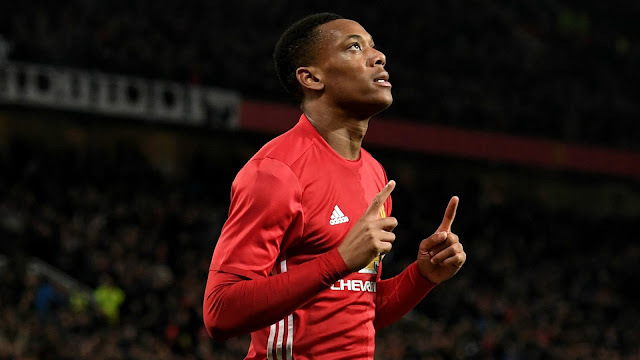 Anthony Martial is set to quit Manchester United in order to force through a deal to French champions Paris Saint-Germain in the summer, according to a report from The Mirror. The 21-year-old has struggled for regular game time this season under Jose Mourinho and apparently believes the Portuguese coach is trying to force him out of Old Trafford. Martial supposedly took offence to Mourinho questioning certain United players' 'winning mentality' and is growing frustrated with his role as a substitute. 0 Response to "MARTIAL TO QUIT MAN UTD"